High-speed trolling has become increasingly popular, especially among anglers crossing deep ocean waters while en route to destinations like the Bahamas. If you're targeting big wahoo and want to avoid the small stuff, it pays to fish an extra-long lure. 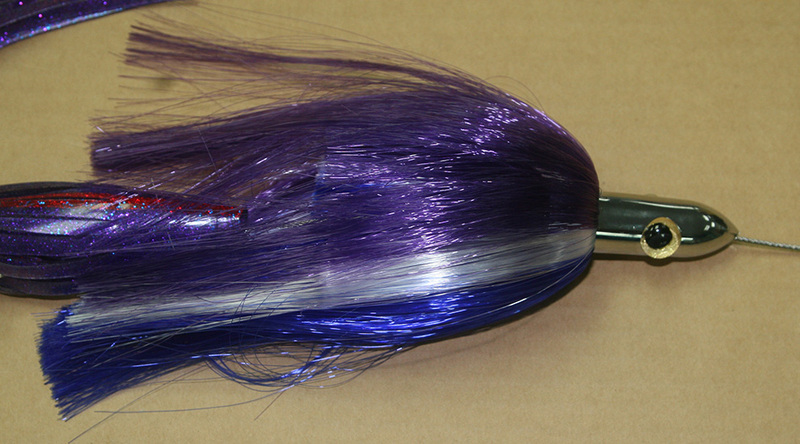 This perennial favorite combines a stainless steel trolling lure with a long plastic skirt, and is armed with a pair of in-line, stiff-rigged hooks. Story and photos by Steve Kantner. 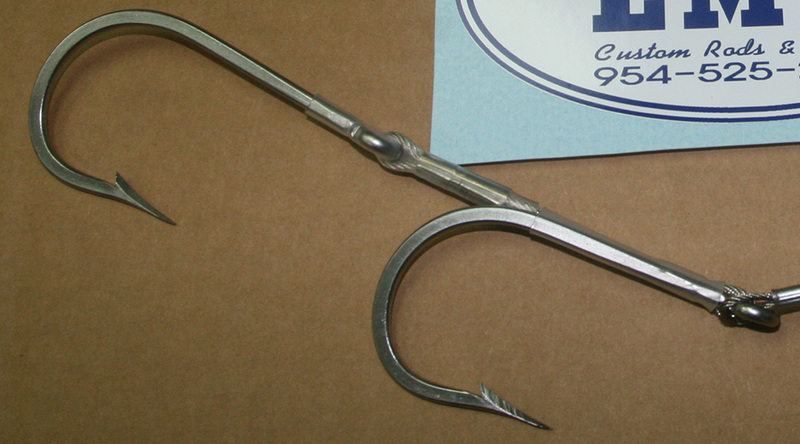 Start by connecting a pair of 10/0 hooks with a short piece of 980-pound test 7x7 stainless steel cable. Before attaching the rear hook and sleeve, slide a 3-inch length of 3/8-inch semi-rigid shrink tube over the end of cable. Use zinc or nickel-plated copper crimping sleeves to guard against galvanic corrosion with the stainless steel cable. Make sure that the eye of the lead hook and the eye of the trailing hook are at least a hook's length apart if you want to stay IGFA-legal. The leader itself is made from four to six feet of 480-pound, 1/16-inch cable. 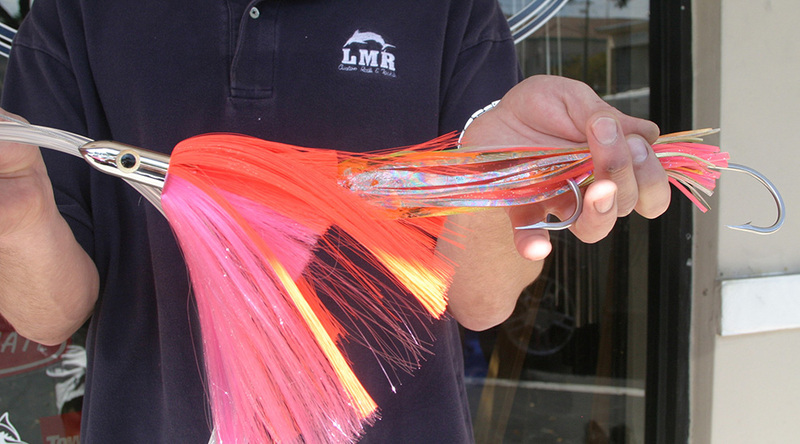 Thread several fluorescent beads onto the cable to space the hooks back in the skirt, followed by a 3-ounce egg sinker and a 12-inch rubber skirt. 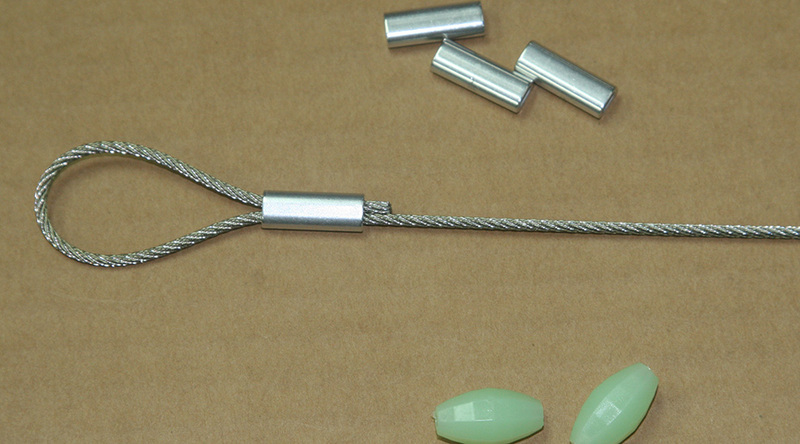 Push the egg sinker into the head of the skirt, and crimp the end of your cable onto the eye of the lead hook. 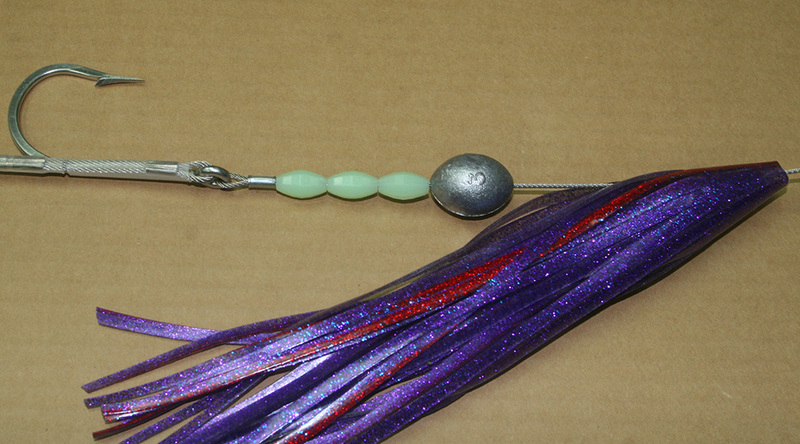 Add two more beads past the rubber skirt, then thread on a stainless steel trolling lure. A jet head or straight-running lure works great in this application. 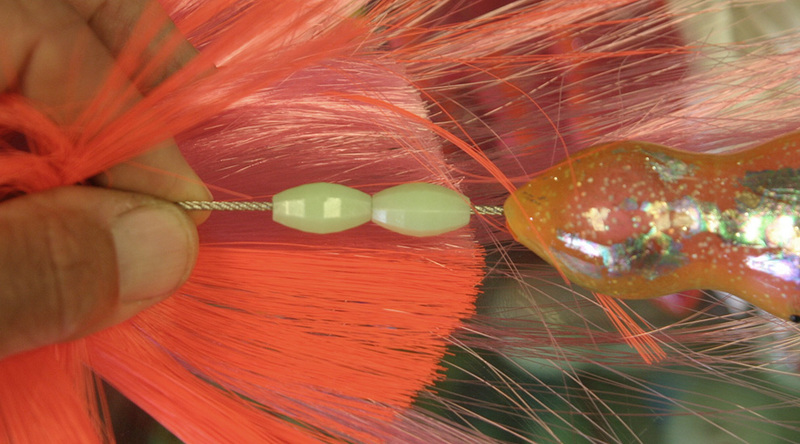 Using beads helps you properly space out the lure head from the rubber skirt and gives the lure a bit more length overall. Once everything is assembled, crimp a loop in the end of the cable leader, using zinc or nickel-plated copper sleeves. 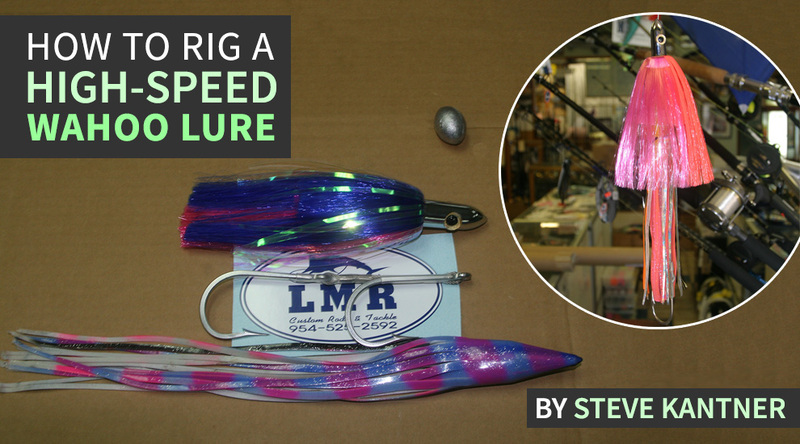 When running this lure at high speeds (12 to 18-plus knots) most crews use 30 feet of heavy 400- or 500-pound test mono. The mono then connects to a 24- to 48-ounce trolling weight. The extra weight helps keep everything in the water, while the heavy mono provides the "give" needed with high-speed trolling. The main running line attaches to the trolling weight. Not exactly IGFA legal, but very effective.